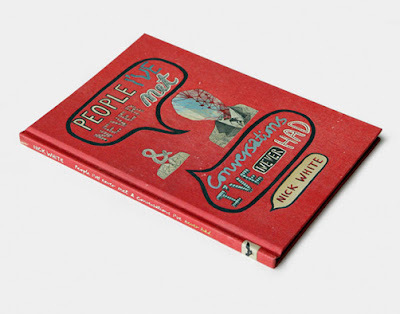 Tonight sees the the launch of Nick White’s new book 'People I've Never Met & Conversations I've Never Had" at Concrete Hermit. 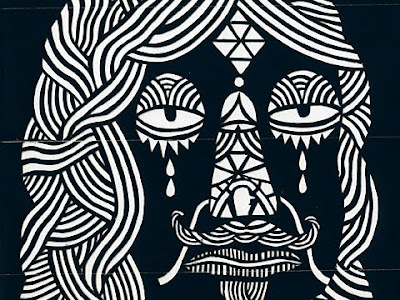 The book has been published by Nobrow Monobrow publications. The hard back monograph features 32 pages of Nick’s work, and is the first in a new series of Nobrow Monobrow publications. The book will be available to purchase both at the launch and from their website. To tie in with the launch an exhibition at the space will feature original artwork used in the book plus new limited edition screen prints. All artwork will be available to buy on a first come first serve basis. Nick will also be available to sign copies of his new book on the launch night.